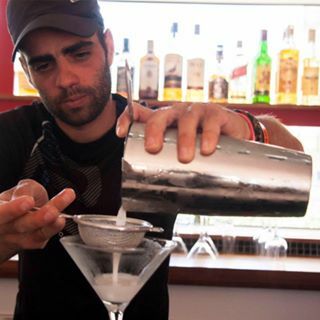 The Mallorca bartender school is located in the heart of Mallorca’s capital, Palma. It’s situated in the city centre; surrounded by cafes, bars, restaurants, parks, and shops. The school features free Wi-Fi, and has air conditioning throughout which is vital when it hits 30 degrees in the summer. The stunning beach of C’an Pere Antoni is only a 20 minute walk away so you go can stroll down and catch some sun every day after class. Mallorca is one of Spain’s stunning Balearic Islands in the Mediterranean. Every year, thousands of young internationals head to the island in search of fun and relaxation in the sun. It’s the mix of stunning scenery, beautiful beaches, and famous nightlife that make Mallorca one of Europe’s best destinations; and the perfect place for you to become a bartender! Palma is historical, stylish, and bursting with life. The city has undergone considerable redevelopment in recent years which has led to a boom in local culture and the nightlife scene. You’ll end up spending a lot of time in the Santa Catalina district which boasts some of the city’s best cocktail bars, rooftop terraces, and restaurants. After graduation, you’ll have plenty of opportunities to find seasonal bar work in Palma or in the Magaluf area. Does Mallorca sound like your bartending island? Now you know everything about our Mallorca bartender school and what to do on the island.